Values are such an important part of who we each are. Sometimes we don’t give enough attention to what our values are and how they impact on our lives. 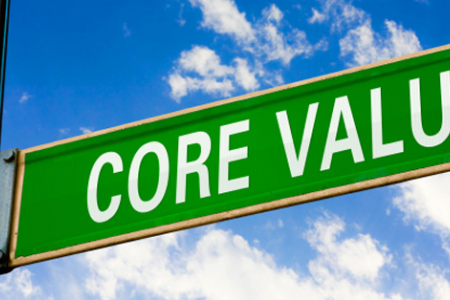 I recently hosted a Values Workshop for an executive team, where we had two clear objectives. Firstly, we wanted to create a common understanding of the individual values of all the team members. Secondly, we wanted to determine if there were any links with these individual values to the values of the organisation. To kick off this process, we asked the team to think about and prepare the following three items. Their personal Why Statement; or in other words, their purpose as a leader. The values they want to live by every day. The behaviours they display to everyone, in and out of the office, to demonstrate how they live these values. In the above context, every member of the team is considered to be a leader within their own lives; whether they organisationally lead a team or not. Everyone prepared their statements diligently, and during the workshop it was amazing to observe the passion and energy, with which each individual person presented their statement; their values; and their behaviours. During the session, I asked everyone to capture on Post It Notes what positively surprised them about each colleague’s statement and values. At the end of the exercise, we clustered all the Post It Notes around the name card of each individual participant. Everyone therefore, had the opportunity to openly read what had positively surprised their colleagues about their specific statements and values. The milestones achieved by this exercise, from my perspective as the facilitator, were as follows. It made the individuals feel really good about what other team members said about them. It gave them an instant affirmation of their own values and a realisation of how these values shine through in everything they do at the office. It gave me an opportunity to demonstrate the many common values in the room and who shared similar belief systems. It demonstrated for everyone, how there was a clear coherence to the values of their company overall. The reason that values are such an important aspect for an organisation is because they should be driving and guiding the behaviours of the individuals working there. I use the word ‘should’ on purpose because company values are frequently merely a statement written in the glossy financial statements. They are not an organisational characteristic detected through the demonstrated behaviours, nor role modelled by its leaders. If this sounds familiar for your organisation, then this is definitely a red light demanding action. Why is knowing our values significant for us personally, within an organisational context? To demonstrate the answer to this important question above, I want to use two examples from my executive career. Firstly, values can be triggers, which allow other people to push our buttons without us knowing it. Secondly, values can connect us with someone, even when it appears that we have nothing in common. and why I became aggravated, even to the point where I felt like a bull being teased with a red cloth by a matador. Every time one of my team members in Human Resources suggested we treated everyone exactly the same, without any consideration for their own personal circumstances, I got agitated and had the word ‘unfair’ echoing in my mind. I understand the value of being fair to everyone and of treating everyone equally, but at the same time I experience ignoring individuality as terribly unfair. This is the exact dichotomy that exists when we are leading other people within an organisation. I recently shared this example with one of my mentees. Two sessions later, he reported back to me that this example was very insightful and had helped him a great deal. Integrity and honesty are two of his personal core values. Every time he presented financial numbers to the executive board and was questioned, he found himself becoming extremely angry when leaving the meeting. After our conversation, he realised the significance of these values and the resultant feeling that he was not being trusted. Up to this point, it had been an unconscious value for him; exactly as it had been for me, until I realised the significance of my values. I am not saying that by knowing and understanding our values we won’t be triggered by other people anymore. But by knowing clearly what our values are, we give ourselves the ability to see how we are being impacted by other people’s behaviour and we can choose to react differently. For example, to see the trigger for exactly what it is and step away from it, without becoming too emotionally entangled. Another example, is where our values can be a positive connector, when it feels as if we have nothing in common with another person. This happened to me when I made an incorrect choice about a lead person for a certain project. Let’s name her Ella. Within weeks of taking over the project lead, the agreed deadlines were not being met and things were starting to go off track. From Ella’s background and experience, she should have been able to handle this project. Unfortunately, it was overwhelming for her and we were not connecting with each other within any one-to-one discussions. I asked an excellent facilitator trained, in Myers Briggs** MBTI profiling, to assist us. The brief was to help us communicate our requirements better to each other. For me, the issue was the importance of meeting deadlines and communicating if they were not being met. For Ella, the issue was a need to feel trusted and supported. In the end, it was our shared values about family and trust that connected us. We found a way to deeply respect and value each other following this intervention. Are your values aligned with the behaviours being demonstrated by the leaders and team members around you? If not, I hope this brief article provides you with insights about how you might be feeling, or reacting at work, or in your personal environment. 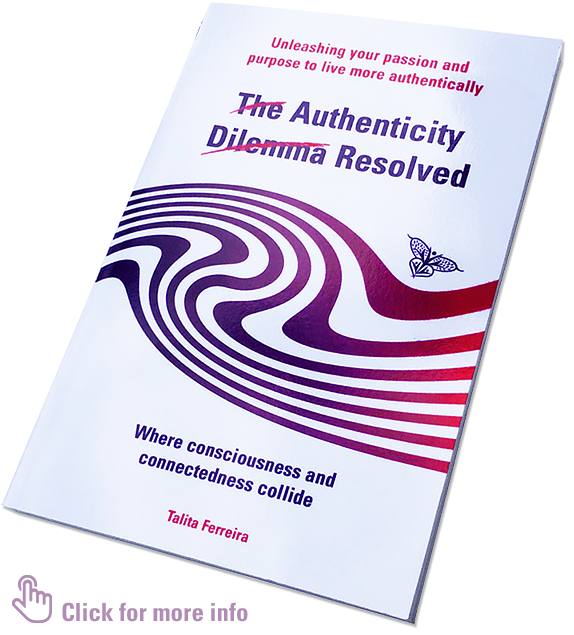 *POWER – an acronym for Presence, Overcoming Fear, Whole integrated being, Effortless Flow and Resonance from my first book ‘The Authenticity Dilemma Resolved ®’. When we connect with our greater authenticity (being more conscious and connected), we unlock this authentic POWER within. **Myers-Briggs Type Indicator is a personality test based on Karl Jung’s theory of psychological types.